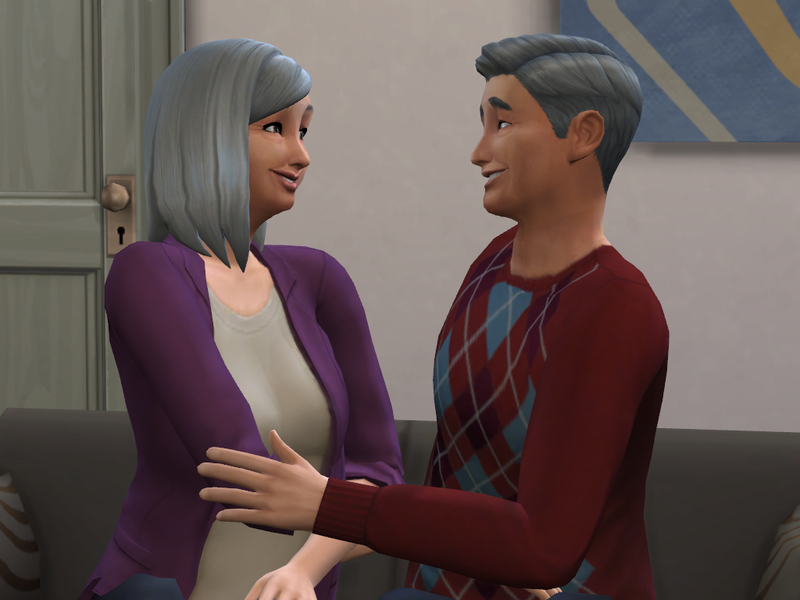 ‘Oh love, you’re as beautiful today as you were the day I first laid eyes on you,’ Dylan cooed, feeling a little sentimental in his old age as the pair sat down together, their bones suddenly feeling a little weaker than they used to. ‘What do you mean, love? I think you only had eyes for one girl at school when we first met!’ Louise teased her husband. 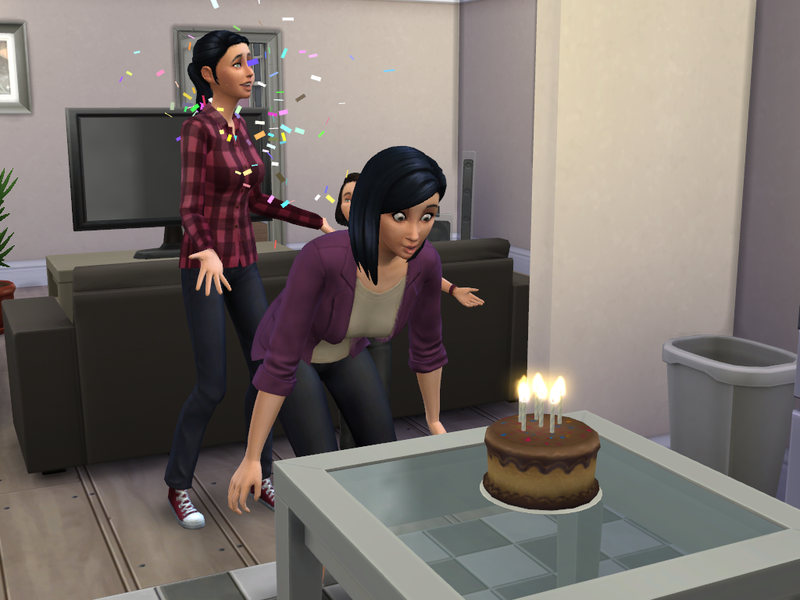 ‘Way to ruin the moment, Mum!’ Lily called through from the kitchen. 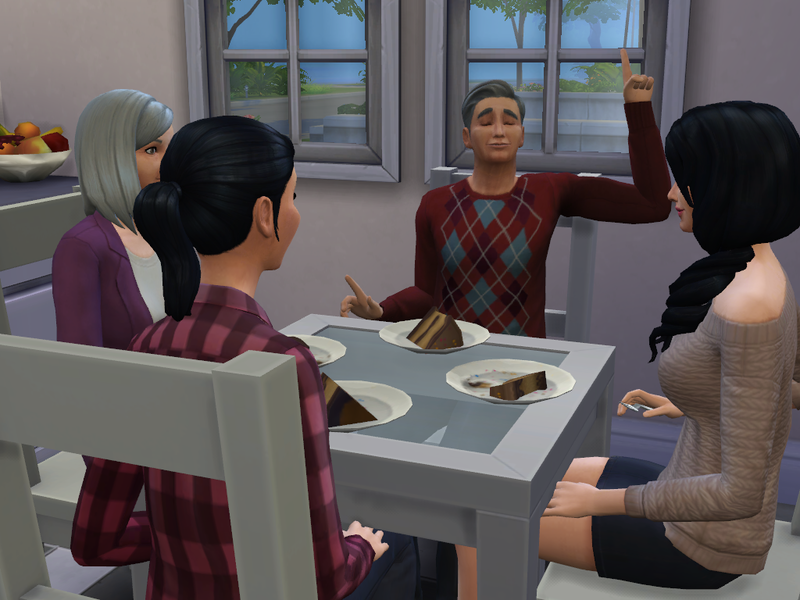 The family crowded around the small table as they tucked into their slices of cake. ‘Oh, Freya love this is delicious! 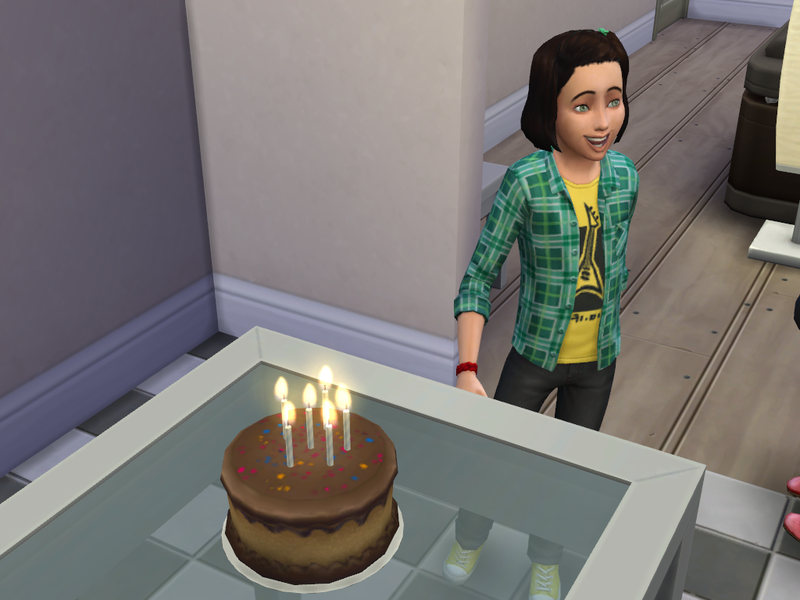 I bet little Mara’s going to be screeching for hers all the way down the motorway!’ Dylan laughed; as Mara had school the next day and it was such a long drive, Robyn and Booker had made the decision to leave shortly after the cake was cut, much to Mara’s dismay. Home was a long way away, and there was no eating in the car! ‘You mean cramped, Mum. This kitchen is tiny,’ Lily muttered under her breath. ‘Well, it’s not like I can afford anything bigger yet Lily, we’ve been through this,’ Freya said tensely. ‘And if you decide that the writing thing isn’t for you, may I suggest a career as a chef? This cake really is good, love!’ Dylan laughed, breaking the tension. Later that evening after the cake had been demolished and the parents kissed and hugged goodbye, Freya ventured into her bedroom cautiously. Sitting in front of the computer, she took a deep breath. 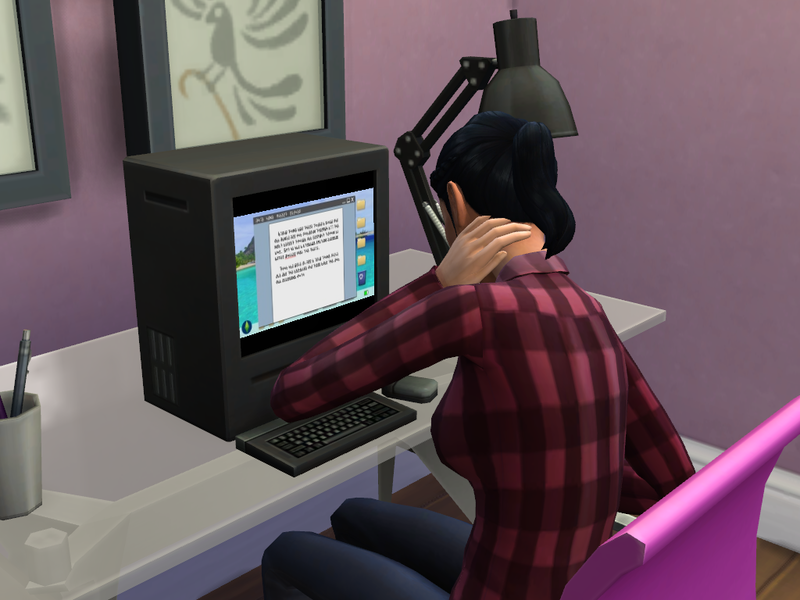 She pressed the on switch, waited for the machine to boot up, and began to type. Nothing. Nothing!! Still zilch, after all these months. 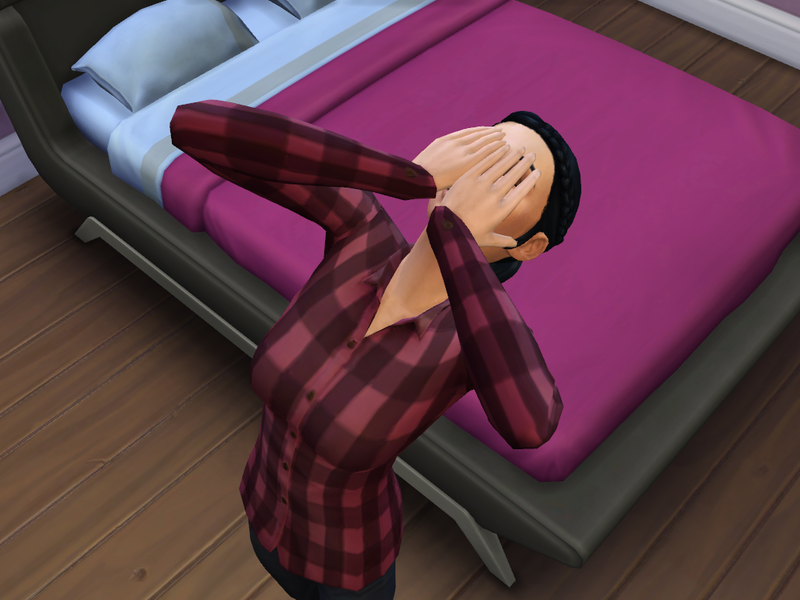 Crossly, she pulled the plug out of the wall and buried her head in her hands before turning to her reflection. She stopped abruptly. It was the first time she’d said out loud what had happened. The awkward way their radio show had broken down. The slow realisation that she had no other friends on her course. The way she couldn’t concentrate as everything started to fall apart. Having to see him every single day, both at home and in her lectures. This entry was posted in Generation Four by Sianystar. Bookmark the permalink. I am so glad you’re back, Sian, I’ve missed you so much! You? Rusty? It doesn’t even show at all! 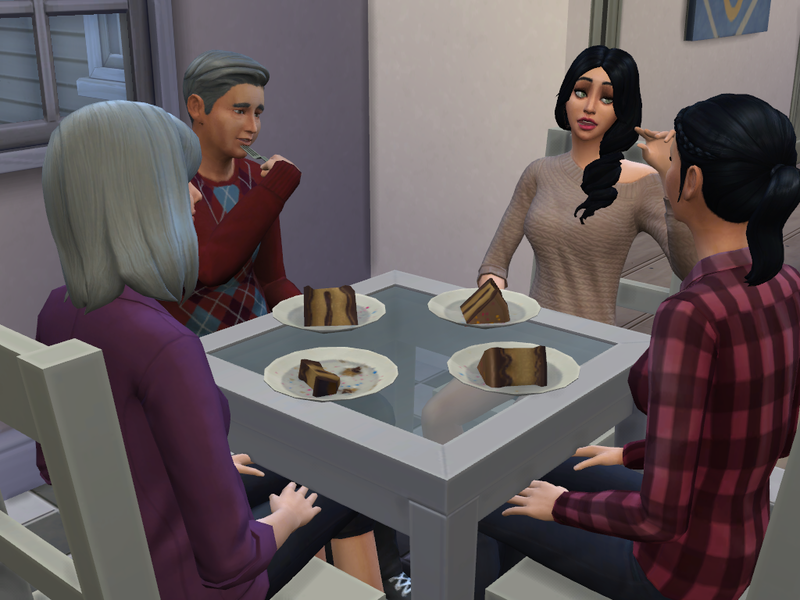 I loved this chapter and my goodness, all your Sims look great in The Sims 4! 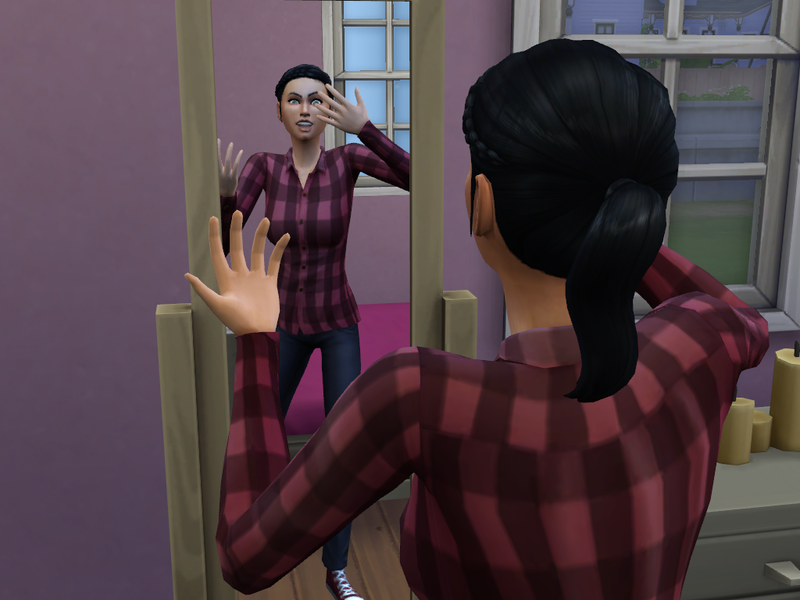 I knew who everyone was right away the second I looked at them, even the twins! 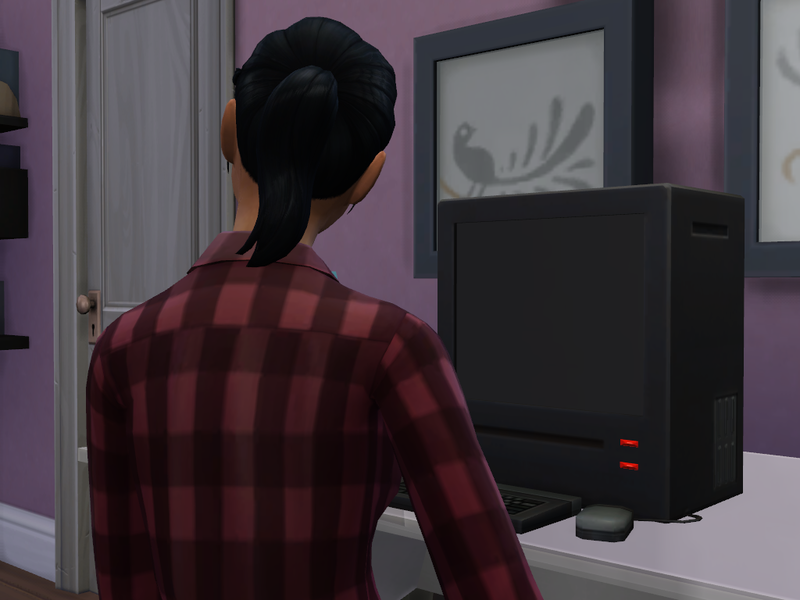 I definitely understand the need to retire The Sims 3 and move on to The Sims 4, I fully support that decision 100% and I’m really excited to see what adventures Lily gets up to and if Freya’s able to come to terms with all the stuff she’s dealing with. Definitely understand Freya’s position. I graduated uni but now it seems like it was just a waste of my time and money. Novelists like us don’t exactly have an easy time getting published with or without a degree! Holy crap! Do my eyes deceive me? Is it really a Rivers chapter? *rubs eyes* It is! Whoo! 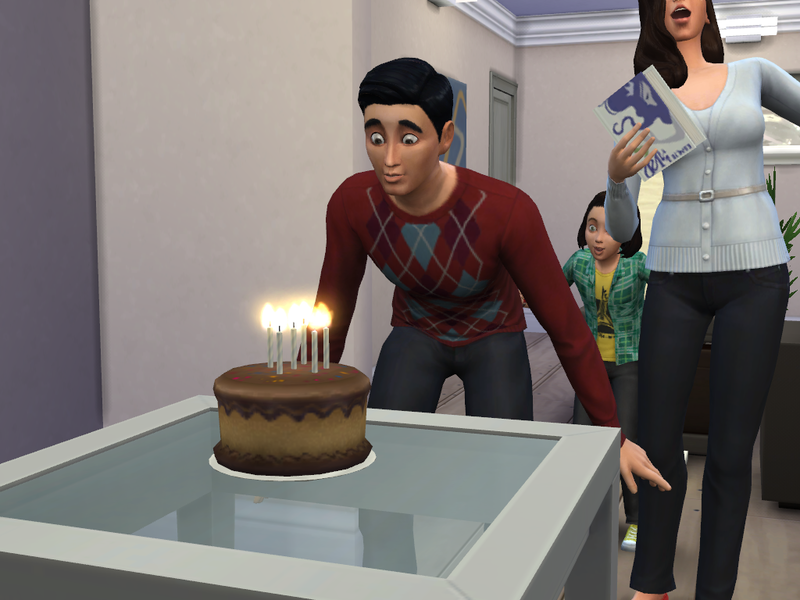 Your sims look pretty good sims 4-ified. The only person that I wasn’t sure of who it was was Robyn… but that was because I’m on my phone, and her hair looked black… which I’m sure it’s brown. Anyway! Oh Freya… again with the pride and reclusiveness… I guess I can understand why she dropped out of uni… I liked Leo… if not for the game switch, would the girls still be in uni..? Or would Freya have dropped out anyway..? I really hope she opens up soon. Last time, it really destroyed some relationships… let’s hope we don’t get a repeat. I was so shocked and so happy to see a new chapter! As excited as I am for the next one, I’m patient enough… real like has a higher rank on the importance scale, and I’m not necessarily a speed poster either… speaking of which… I always feel bad being one of those self advertising people… but I always loved having your opinion, and I can’t really remember what was the last that you read of my blog, but it’d be really cool if you could check it out, and let me know what you think! Thanks! 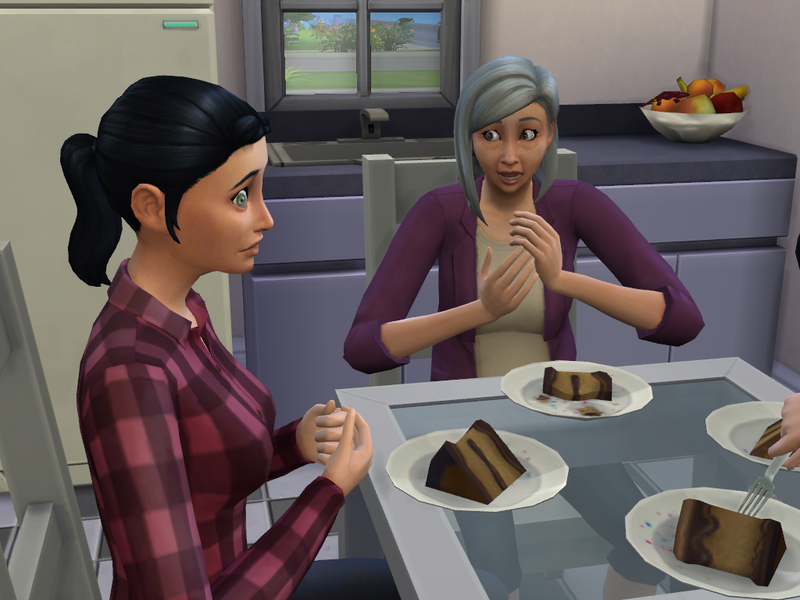 Yeah Robyn’s hair is brown, think the lighting in Sims 4 can be a bit dodgy sometimes though. 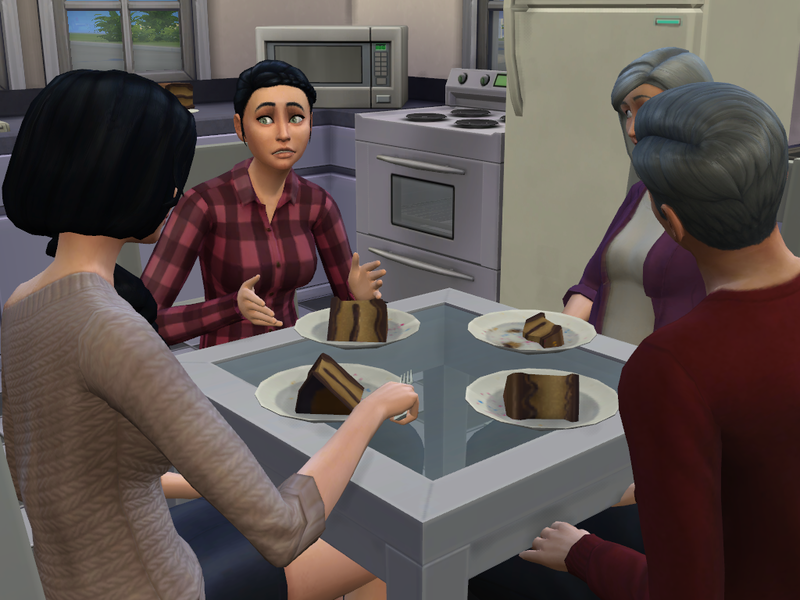 If not for the game switch they would still be in uni, just had to tweak it a bit with them going all Sims 4ified! Of course I’ll check out your blog 🙂 Thanks so much for reading and commenting!! This is amazing, I’m so glad you’ve returned! Haha, I can’t promise to be here on a very regular basis (although I did update today!! ), but I’ll try my best! Thanks for reading and for commenting 🙂 I’m so pleased you enjoy my blog! !